← Happy Birthday Mommy and a Giddy Giggle! 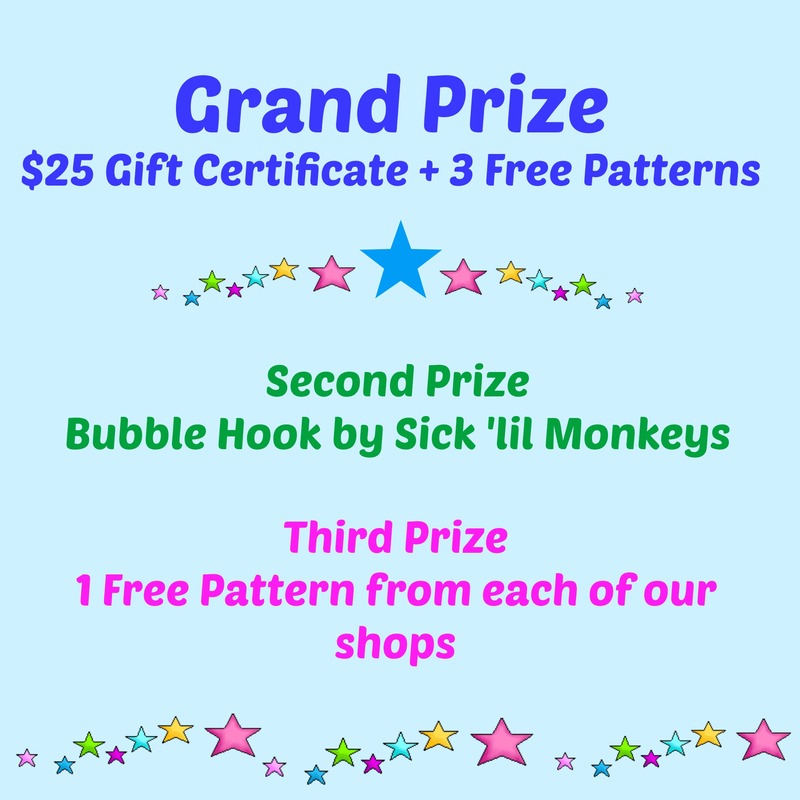 It’s week #3 hosted by Maria at Pattern Paradise — Oh, and LOOK – prizes have been added! Enjoy week #3! Welcome to week #3 of the July Crochet-Along featuring the Stitch ‘n’ Style Handbag hosted by Wendy from The Hooked Haberdasher, Janaya from Charmed by Ewe and me! So let’s recap, in Week 1, Wendy hosted and shared two stitch patterns with us, the Diagonal Spike and the Ridged String Network. In Week 2, Janaya hosted and shared another two stitch patterns, the Spatter Stitch and Boxed Puff Stitch. Posted on July 15, 2014, in Crochet-Along, Free Patterns, Giveaways and tagged CAL, charmed by ewe, crochet, crochet-along, free pattern, giveaway, handbag, pattern paradise, sick 'lil monkeys, thehookedhaberdasher.com, wendy bickford. Bookmark the permalink. Leave a comment.